Homesteader Profile: Andrea lives on less than 1/4 acre in town in Texas. She works full time outside of the home and is raising two little boys on her own. She strives to cut the unnecessary and embrace the things that are most important. Andrea’s story is a bit different than other ones we’ve featured on Inspiring Homesteads. She is one of my readers who got in touch with me. When I heard her story, I had to share it. This is her email to me, written completely in her words. I grew up in a small town in Central Texas. I helped my grandparents in the garden, baling hay, feeding animals, and so on. When I went off to college, I was going to be a city girl. For many years I bounced around places and even lived overseas for a few years (not military). As my parents got older and their health declined, I moved back to the small town to help out. In the process my husband and I divorced because he did not want to live in a small town. I, on the other hand, realized that I enjoyed the pace of small town life. Fast forward a couple of years, I realized being a single mom with two kids was very hard. We started to struggle financially because we still hadn’t stopped spending money like we should. Then I started reading on how to save money by cooking from scratch. About the same time, I came across some articles on homesteading and self-sufficiency. The more I read the more I remembered my grandparents. Then a major change happened in my life. I had a heart attack at the age of thirty-seven. While I was recovering, the hospital food was so bad I thought “How can anyone eat this?” I remembered when I was young that we used to go and get fresh tomatoes and green beans out of the garden. The taste was amazing. After reading more and more about commercial food, I decided that I could grow most of my vegetables in my yard. Our homes is located on less than 1/4 acre in town, so I am limited as to way I can do. I have plans for the future once my finances and health are in good order. The first thing I did was disconnect the cable. Then the kids and I sat down and went through what is a need and a want. We stopped buying as much processed food as we could. I started making things from scratch and canning our own food. I removed lawn and added a garden. I have apple, pear, and peach seedlings growing. I have heard all the stories about why you shouldn’t grow apples from seeds but I was like “Why not?” So every time I see something with seeds, I try to grow it. Once I started my garden this year, my brother offered to till up the area close off my dad’s house to use as a garden. I had doubts on whether or not I could grow a lot of my food. 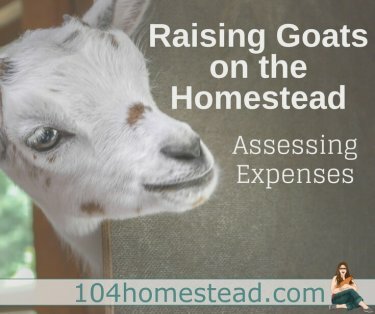 Then I found various blogs like The 104 Homestead that show me people are actually doing it. So I am at the beginning of my adventure, but the biggest challenge so far is time. I’m a single mom with two kids and a full-time job, but I have my garden growing now. I am learning to source things locally. Last weekend I canned some peaches from the local orchard. I felt so like a fish out of water trying to can those peaches, but I did it. I want to give a special thanks to Andrea. Her story has really touched me. Andrea’s story spreads the message that everyone can do this. It may not be easy and it may be scary, but it’s so worth it. Thank you, Andrea, for being a loyal reader. Hi, I am single woman too and grow,work and provided my kids with food and education and now they are independent of me. I live in my house and grow my food and I sell too and make some extra cash so that I build shed and deck in my back of the house. We can do everything possible. Keep working and in time you will be so happy how far you reach. I have been single woman last 28 years. No problem very independent. Have lots of friends and they like me and appreciate me. Merry christmas and happy new year almas. Way to go, Andrea! What a wonderful life you are creating for your boys. Very inspiring story Andrea….keep it up! I also taught myself everything I know about homesteading……no examples around to show me. Read everything you can get your hands on! Learning to do things for yourselves, making resources last longer, thats what it is all about! You are amazing, and your children are so adorable! Andrea – I hope things get better for you and your family from now on and I think what you are doing takes guts and determination – of which you seem to have plenty of! You are such a resourceful woman & setting a terrific example for your kids! Beautiful, inspiring story! People come up with so many excuses for why they can’t do things instead of just pushing themselves out of their comfort zone and trying. Thank you Andrea and Jess for sharing this story! Homesteading is an attitude and Andrea is already a roaring success! Congratulations to her for keepin’ on and so glad she shared her story! What a great story…it is amazing to me how we always go back to our roots when times get tough! Kudos to you for teaching your boys how to survive. Oh, wow. Now THIS is inspiration. I am amazed and touched by this story. No excuses, just action! Andrea, you are giving your children many gifts that they will carry with them their entire lives. Such a fabulous, inspirational story!